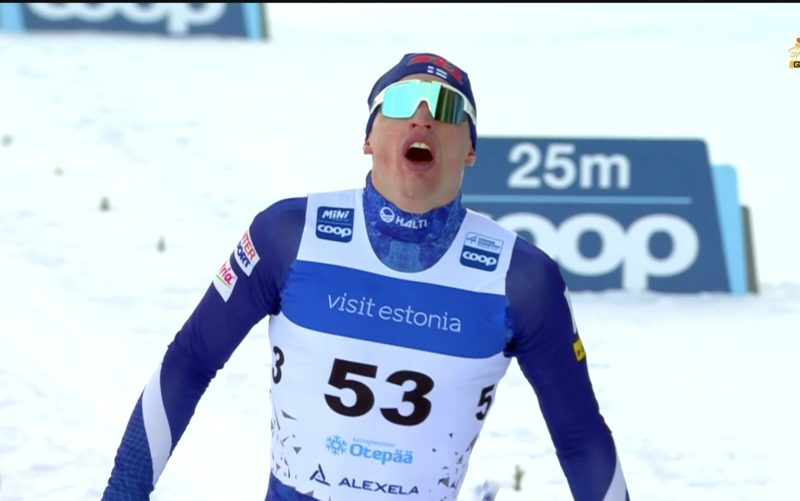 Finland’s Iivo Niskanen took the victory in Sunday’s 15-kilometer classic individual start in Otepää, Estonia. This is Niskanen’s first World Cup win of the season and his third career individual World Cup victory. During the first half of the race, Niskanen’s splits were up on the rest of the field and by 7.5 k, he had almost 15 seconds on the next closest competitor. Niskanen finished in a time of 19:26.8. Niskanen was just voted Finland’s “Athlete of the Year” at Finland’s Annual Sports Gala. Finishing 15.9 seconds behind Niskanen on Sunday was Russia’s Alexander Bolshunov in second place. 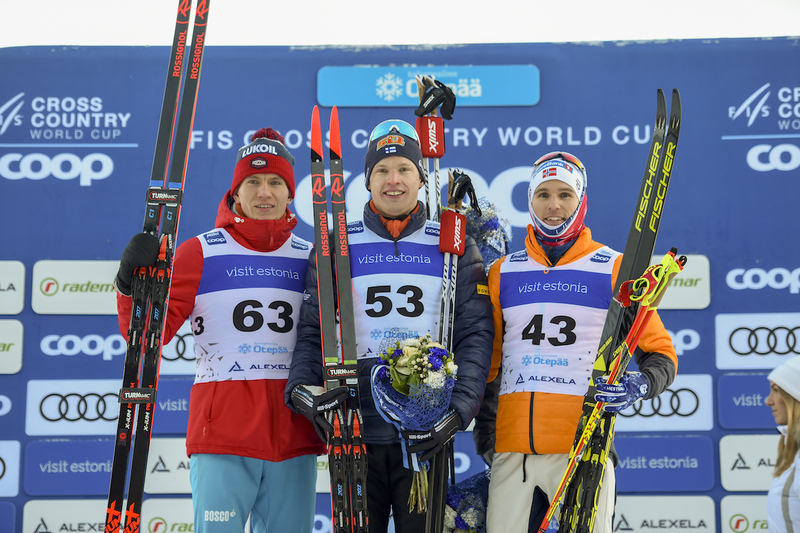 This is Bolshunov’s eighth individual podium of the 2018/2019 World Cup season. Sunday’s third and final podium spot went to Norway’s Didrik Tønseth, who finished 46.4 seconds off of the winning time. Erik Bjornsen of the U.S. Ski Team was the top North American on Sunday, finishing in 30th (+2:35.7). “Today was okay,” Bjornsen wrote in an email to FasterSkier. “I had some good moments during the race. My fitness is not where I would like it to be right now so I’m trying to turn that around. “This weekend was a step in the right direction,” he added. In yesterday’s classic sprint, he finished 24th. Following Bjornsen, the next U.S. skier to finish was Scott Patterson in 36th (+3:01.0). Also racing for the U.S., Ben Lustgarten finished 53rd (+4:41.1) and Kevin Bolger 56th (+4:57.3). “I’m coming off of a week of being sick before Dresden and the last few days I was taking some antibiotics to get over my sickness, so the body wasn’t feeling the best,” Bolger wrote in an email to FasterSkier. Canadians Len Valjas and Bob Thompson placed 43rd (+3:56.9) and 52nd (+4:24.0), respectively. American Andy Newell did not start Sunday’s 15 k race.